Tyra has switched up the rules tremendously, announcing it is now possible for anyone of any age to try out for the competition. 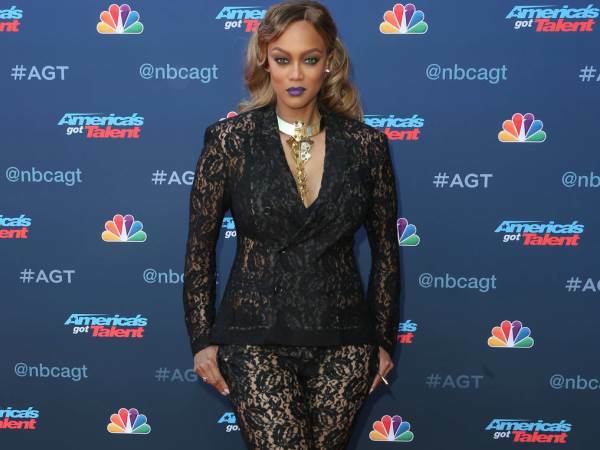 Supermodel and TV hostess Tyra Banks has lifted the cap on age restrictions for people who want to compete on America's Next Top Model. The 43-year-old catwalk icon was recently reappointed as the anchor of the hit fashion reality television series, which has aired for 23 seasons since its inception in 2003. The gorgeous star will still be applying the same criteria when it comes to selecting the top winner of the modelling competition though. Contenders who plan on winning must impress with their dazzling 'smize' – slang for 'smile with the eyes'. Banks created America's Next Top Model, produced the show and served as the main host for 22 seasons. The latest cycle, which premiered last December, was presented by British singer Rita Ora. Tyra will return to anchor the programme's forthcoming 24th season.